VietnamCupid is the leading Vietnamese dating and personals site that successfully connects thousands of Vietnamese singles with their ideal matches for love, dating and long term relationships. If you are specifically looking for an interactive and exciting Vietnamese dating experience, VietnamCupid is the site for you. VietnamCupid is part of the well-established Cupid Media network that operates over 30 reputable niche dating sites. With a commitment to connecting singles worldwide, we bring Vietnam to you. We have the largest database of Vietnamese singles, detailed search facilities and advanced messaging system to help you find the perfect Vietnamese match you are looking for. We are committed to helping you find the perfect match, no matter where in the world you may be. As the leading Vietnamese dating site, we successfully bring together singles from around the world. Thousands of happy men and women have met their soul mates on VietnamCupid and have shared their stories with us. Check out the many success stories here. For a fun, safe and uniquely Vietnamese dating experience, join free today. 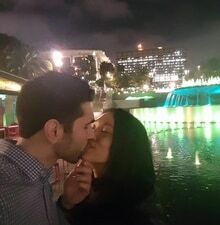 "We are now married and I feel so lucky to have an awesome man in my life." "Thank you so much Vietnam Cupid for making this possible." 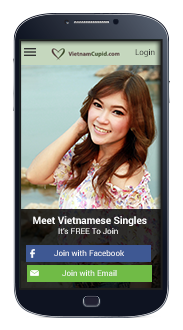 Finding your perfect match has never been easier with the VietnamCupid Android app.